Both of my grandpas typify what Labor Day is about. 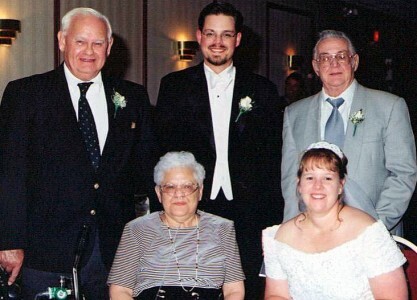 With my grandpas Jim Coyle (left) and Eddie Cichon (right), and Grandma Coyle and my beautiful bride on our wedding day in 2001. The more weddings I attend, the more grateful I am that I had three grandparents there on my wedding day. 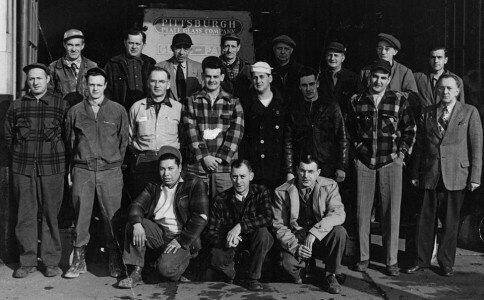 Grandpa Coyle was poor, and I think it’s fair to say didn’t have many prospects, until his boss at the Boys Club helped get him an apprenticeship with the Glaziers Union. After years as a glass worker, he ran Local 660 for decades. That’s Grandpa Coyle, in the center, next to the sailor, with the checked jacket and the rip in the photo. 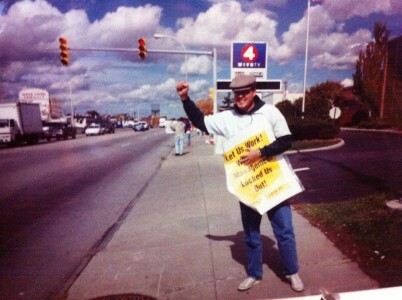 He was a glazier– a glassworker– and eventually spent a couple decades as the funds administrator for the Glaziers Local 660. This is from c.1953. 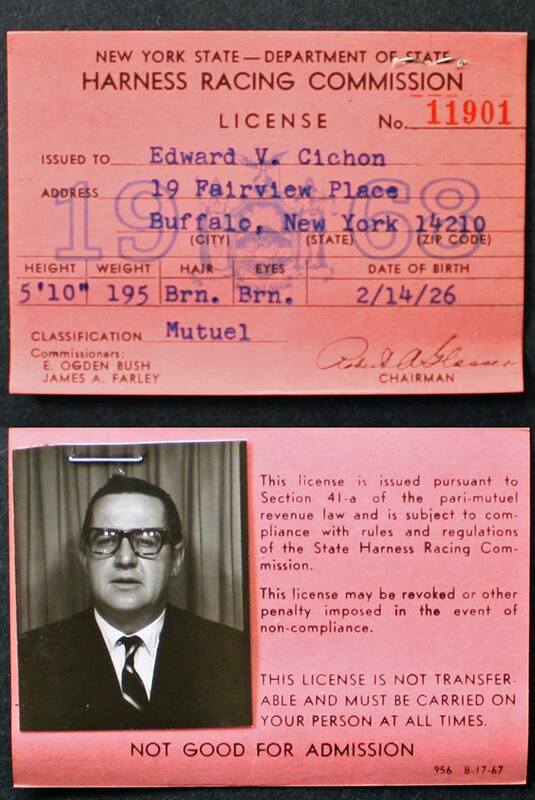 Grandpa Cichon started as a laborer at National Aniline, but learned a trade to become a tinsmith. He put in 40 years there. 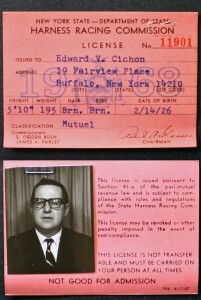 Grandpa Cichon usually had no fewer than 3 or 4 jobs at a time, including regular work through the ticket takers and bet takers union at Memorial Auditorium, War Memorial Stadium/Rich Stadium, and Buffalo Raceway. Both men’s willingness to work hard for better lives for themselves and their children is now also being enjoyed by their grandchildren and great-grandchildren. Sure, organized labor is about 40 hour, 5 day work weeks… But to me, it’s about building American families for generations. Labor Day also makes me think of my time as a union member, when the company that owns Channel 4 locked out half of our NABET-25 bargaining unit. Technicians (studio crew, engineers, master control operators) weren’t allowed to work through contract negotiations, while newsroom staff (producers, photographers, editors) were forced to work with (incompetent) replacement workers. As someone who has only ever wanted to show up and do my job, it was a time I’ll never forget– when the owners of Channel 4 wouldn’t let some of its hardest working, longest tenured employees come to work to provide for their families. I don’t always agree with every union stance, but whenever I hear someone say unions are past their usefulness, I pray that they never learn first hand how useful a union can be.